In a scientific breakthrough, researchers at Tel Aviv University in Israel managed to successfully develop the first-ever 3D-printed heart using human tissue. Though scientists have previously been able to print heart tissues and valves, this is the first time they’ve produced an entire heart, complete with cells, blood vessels, ventricles and chambers. According to the findings published in Advanced Science, scientists had to biopsy fatty tissues taken from patients to achieve the feat. The cellular material from the tissues was used as the bionic ink for the printer. At present, the printed heart can only contract. 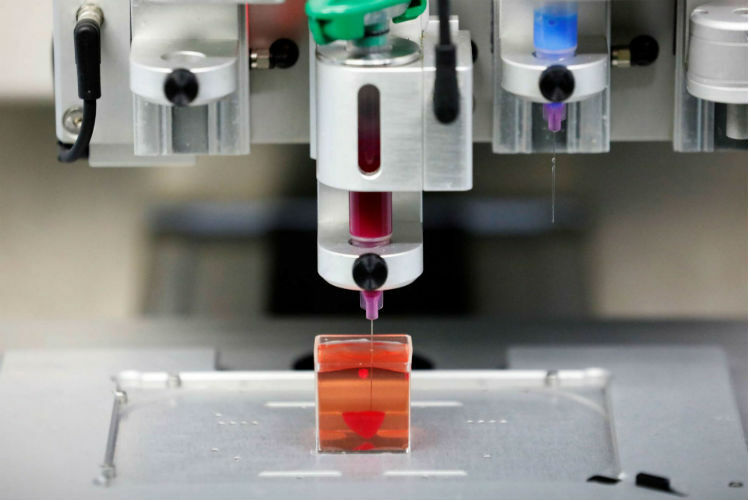 However, the researchers plan on culturing the 3D printed hearts so that they can operate like real hearts. The aim of the research is to create functioning organs for transplants. The Heart really does want to live in the present.Hopefully this can be a chance to save lives, even for the patients who could be an inch away from staring death in the eyes. I hope that lungs will be on the agenda. That is cool! Maybe this is a first step to something huge. If this leads to the manufacture of replacement organs that could be VERY interesting.